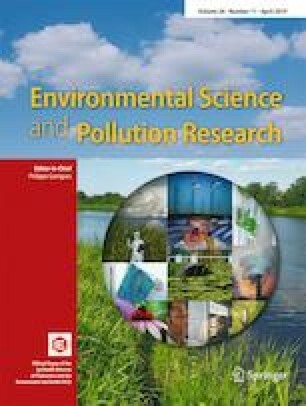 Several negative health effects have been associated with environmental pollution. Coal mining activities are related to DNA damage. However, the impact of lifestyle as well as environmental exposure must be considered when evaluating the extent of DNA damage. The aim of this cross-sectional study was to analyze nutritional status, dietary patterns, and the prevalence of non-communicable diseases (CNCDs) among coal miners as well as to investigate the correlation of these variables with DNA damage. We used a questionnaire to assess demographics, health, and dietary habits. The nutritional status was measured in terms of BMI (body mass index) and DNA damage was assessed by the comet assay. The sample population was composed of 158 coal miners from the largest coal mining company in South of Brazil, and majority of them were classified as overweight (51.3%) or obese (28.5%). Hypertension was the most common CNCD (50.6%) and a majority of these workers consumed all groups of foods three or more times a week. There was a significant positive correlation between BMI and DNA damage (r = 0.1646, p = 0.04) and this association was stronger (r = 0.2556, p = 0.04) in coal miners with some CNCD. There was no significant correlation between dietary patterns and DNA damage in coal miners. These results suggest that the nutritional status and CNCD increase the extent of DNA damage in coal miners. Since this population is at high occupational risk, specific strategies should be designed to improve the health of these workers, aiming to achieve health equity. The online version of this article ( https://doi.org/10.1007/s11356-019-04922-8) contains supplementary material, which is available to authorized users. This study was financed in part by the Coordenação de Aperfeiçoamento de Pessoal de Nível Superior—Brasil (CAPES) —Finance Code 001, and by the Companhia Riograndense de Mineração.